This here is a shot I took of the American Ambassadors residence in the Phoenix Park a few years ago, I always have the fear when I point zoom lenses at buildings like these in the park, someday I am expecting a gentle tap on the shoulder and then none of my friends or relations will ever see me again. All they will ever find of me is an empty camera with all the images erased, hopefully they will at least get the camera back, it’s worth a lot of money [more than I am]. It’s a rather striking building, maybe slightly out of place in the park compared to some of the other architecture but in fairness it’s kept well hidden. If you don’t know how to actually find it then you probably have never actually seen beyond the big gates. It’s fair to say the sky gave me a giant helping hand with the photo, what is it about beautiful sunny days here in Ireland, there always seems to be these massive threatening clouds just hovering in the background. 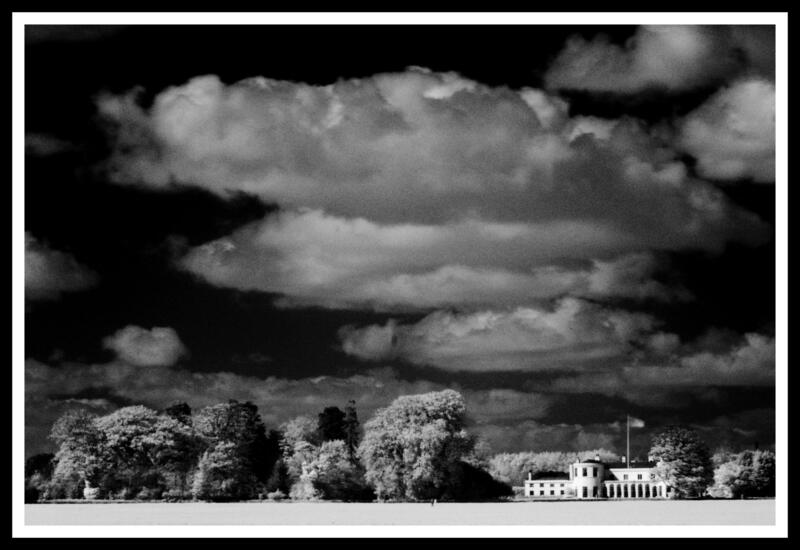 This entry was posted in Black and White Photography, Infra-red Photography, Irish Landscapes, Phoenix Park and tagged Black and White, Infra-red Photography, Phoenix Park, Photography, Trees. Bookmark the permalink.